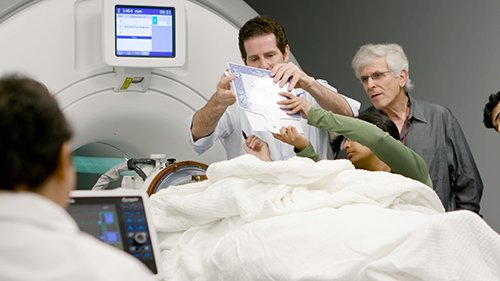 In July 2016 Dr. Michael Kaplitt became the first doctor in New York to use high-intensity focused ultrasound after the FDA approved it for use against essential tremor. The technology is a new way to eliminate the source of tremors in a completely non-invasive way. Since then, Dr. Kaplitt has performed the procedure on two more patients, including CEO Alexandra Lebenthal, with great success. The links below provide more information about the procedure.